Plugins for monitoring various operating systems. There are 19 Listings in this Category.List your addon or plugin here! This simple plugin checks if puppet agent is up and running. 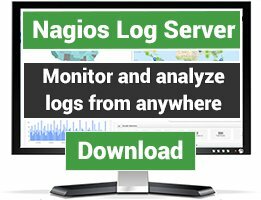 This is a Nagios-check which verify all open files against a threshold. This is a plugin designed using Bash script. 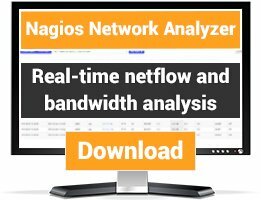 This plugin is created so that 'Performance Gauges' in Nagios XI work properly, showing appropriate 'Warning' and 'Critical' regions. 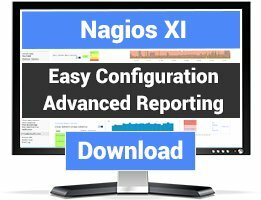 This is a Nagios-check which verify if there are to many opened for a given user. For me this was necessary to check an application server. Its also useful for monitoring the server and fine tune it. Simple script to check path exists on linux. Remember that you can check windows/other filesystems paths using NFS/SAMBA/SMB/OTHER mounting point. Enjoy it! This tests how long it has been since the puppet agent was last run, and exits with OK, Warning or Critical status depending on the interval. This is useful in installations where the puppet agent is being run by a cron job, rather than the daemon. Check_vos returns operating system a computer (Linux or Microsoft). This script uses Shell. This is small script that can monitor your Puppet installation and its components. Check the capacity of a volume using df. Tested on Linux, FreeBSD, AIX, and OSX. Shell script that recursively checks for filesystem input/output errors by directory using stat. Depth is configurable.